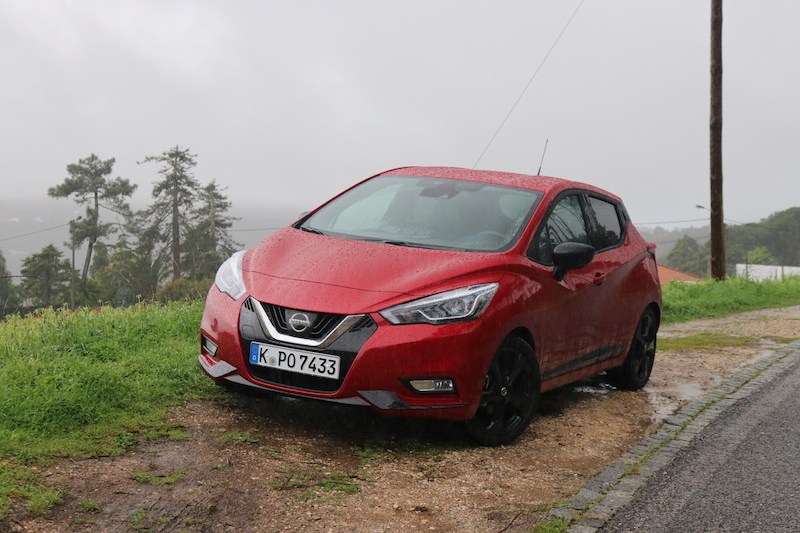 When I first drove the Nissan Micra I thought it served as a decent base for a sporty hatch, but sadly at the time the low powered engines didn’t fulfil this request. However, two years after its launch, Nissan has now released the N Sport. 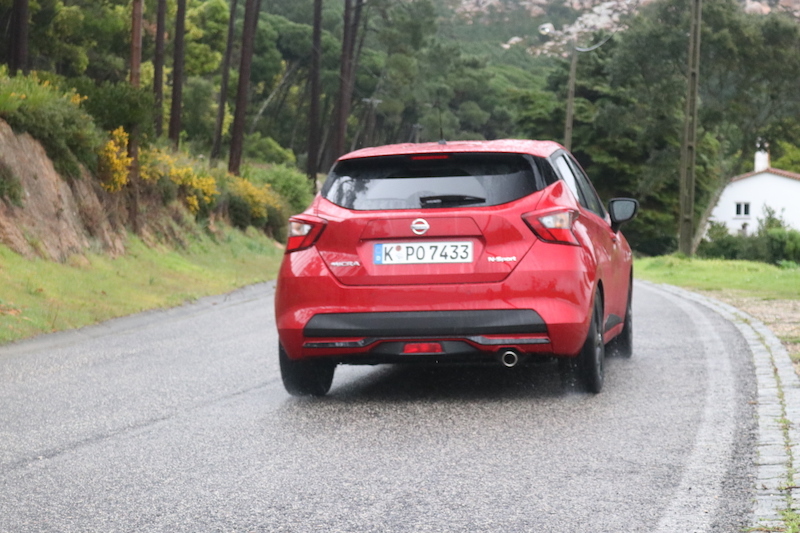 No, it’s not a hot hatch, and not a Micra NISMO that we would all love to see, but it’s a sporty hatch that looks promising. Oh, sounds good, what does it have? For starters, it has a new 1.0 litre three cylinder turbocharged petrol engine that kicks out 117hp with 180Nm of torque, although you get 200Nm thanks to an overboost function. 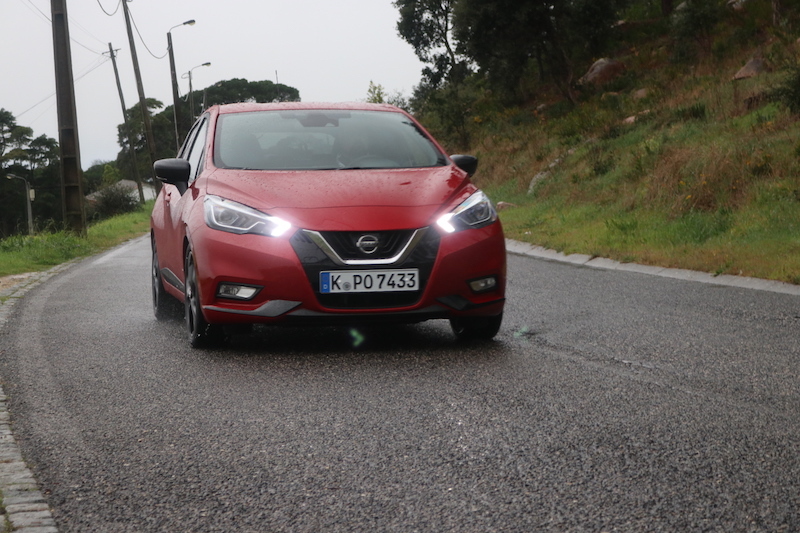 The engine has a similar architecture to the 100hp unit, although Nissan is keen to state that the 117hp is not simply a retuned version of the less powerful unit. This engine was actually developed in conjunction with Daimler. That’s all good and well I hear you say, but what about performance? 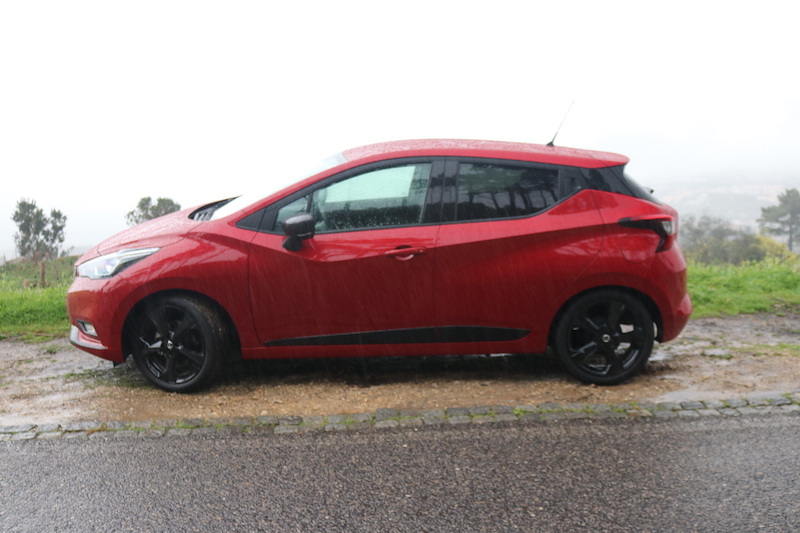 62mph comes in 9.9 seconds, and the top speed is 121mph, which is identical to the 125hp Fiesta ST-Line, and very similar to the 115hp Ibiza FR. This power is mated to the front wheels via a 6-speed manual – there’s no choice of an auto I’m afraid. The N Sport is not just about the extra bit of grunt; it has revised suspension, sharper steerings, a 10mm drop in ride height as well as visual details such as carbon look features and a chrome exhaust pipe. The ride height has been dropped by 10mm, and the suspension has been tweaked as well. Like the standard Micra, the N Sport gets a flat bottomed steering wheel as standard. It doesn’t take you long to notice the extra power if you’re used to the 0.9 litre that was previously offered in the Micra. Put your foot down and although you’re greeted with a bit of turbo lag, you find the N Sport pulls strongly and smoothly. It’s a nice experience, but I wish the engine note was as pleasing as the ST-Line and that it didn’t whine as you approach the redline. 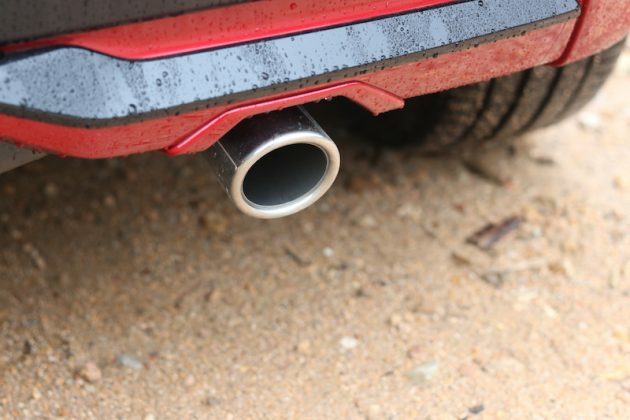 The 6-speed manual changes precisely enough, but the changes are a little rubbery and they simply aren’t as crisp as what the N Sport’s rivals would offer. Does it ruin the experience? No, but it is a little bit of a disappointment. 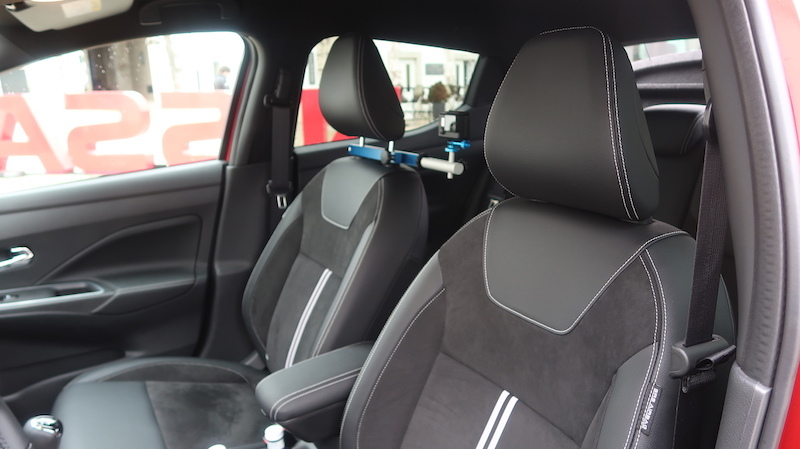 What isn’t disappointing though, is the Alcantara Nissan has fitted to the interior. This can be found on the seating and on the ‘gliding wing’ dashboard, and it helps to make the N Sport feel as if it’s got a grown up interior from a larger car. 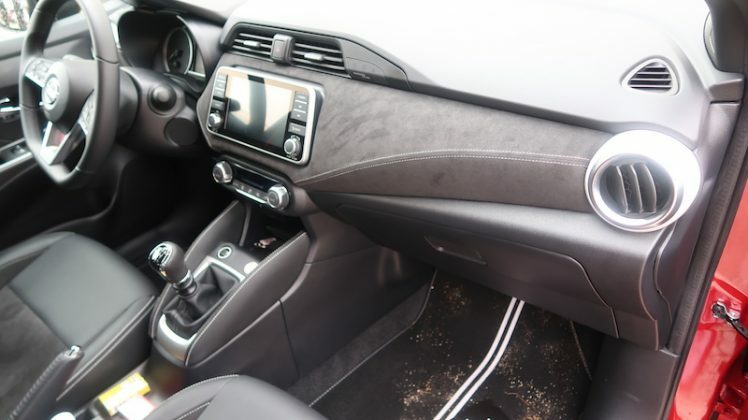 You also get a soft touch dashboard as well, meaning the inside is a pleasant place to be. There’s plenty of kit too, including the new NissanConnect system. 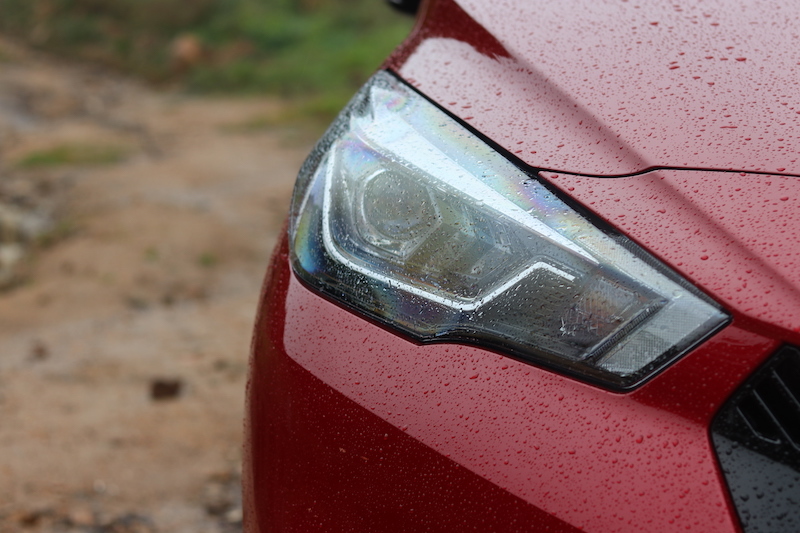 It was a wet drive in the surrounding areas of Lisbon, but it didn’t put a damper on my drive. 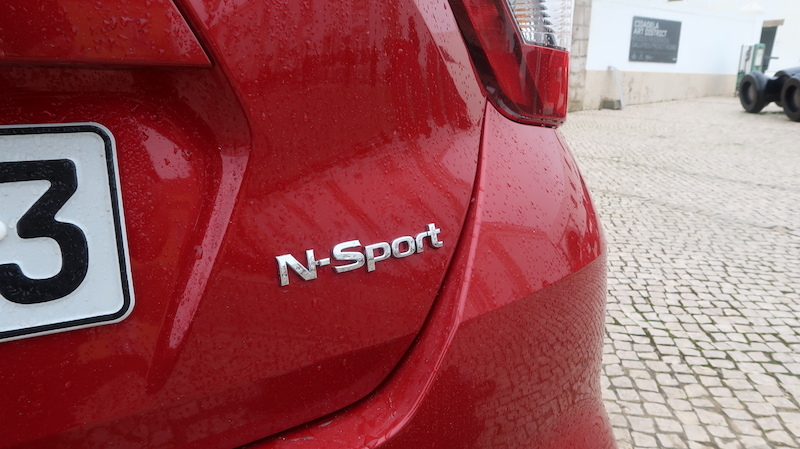 Heading through some winding Portuguese roads, the N Sport handled the roads with a commendable result. 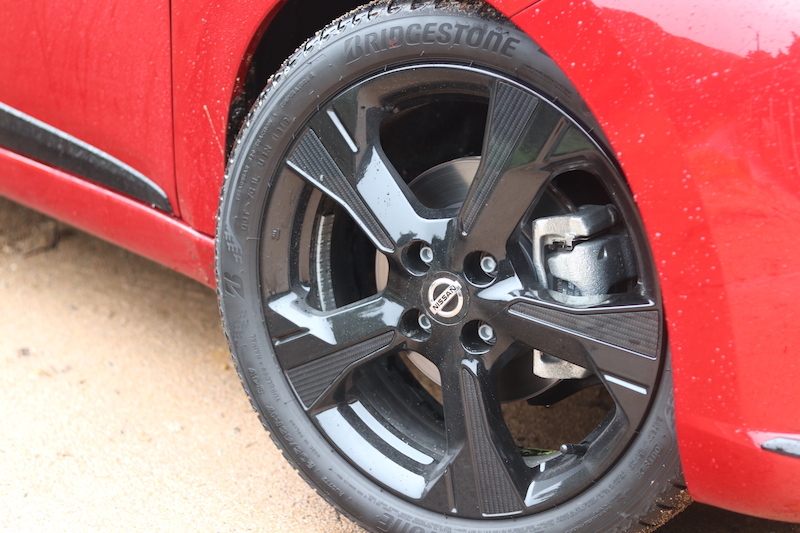 The Bridgestone Turanza tyres offered a good amount of grip in the corner, even in the wet, and the front end felt direct, eager to respond to steering inputs. The steering definitely feels shaper than a standard Micra, but I would have wanted a bit more feedback and also a bit more weight. Body roll is well controlled, though, and the brakes offer a good amount of stopping power, plus there’s a good amount of feel through the pedal. Is it as fun to drive as it’s rivals? Well, it’s hard to be so conclusive after a short drive, but I’d say, it’s not quite there. Still, it’s a valiant and respectable effort. 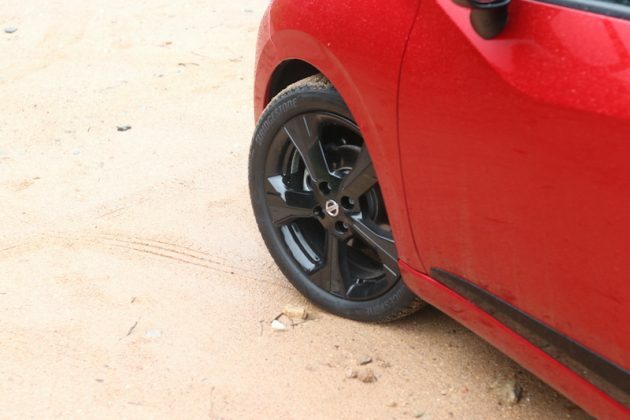 Sitting on 17″ alloys, and lower, tauter suspension you may expect the N Sport is going to be a bit uncomfortable. Yes, the ride is lumpy at lower speeds, but the suspension does a good job of soaking up most bumps and the ride does get better as you build up speed. I did find the passenger seat felt quite firm, and Dave from Autobears, whom I was paired up with, agreed. The driver’s seat did have more give in it though, and it did feel softer, so I think the passenger’s seat would soften up with time. 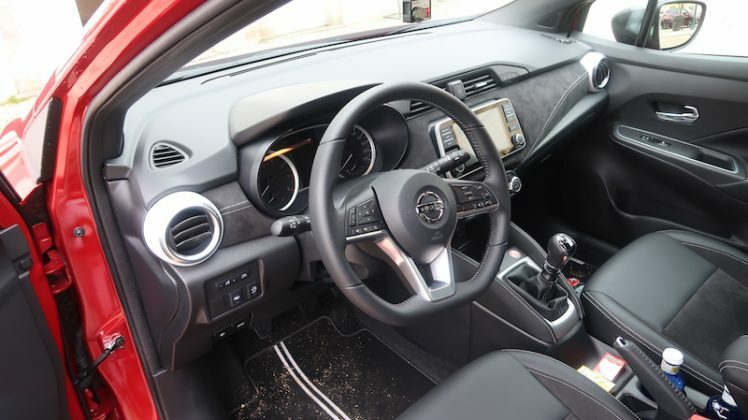 Getting a good driving position is easy as the steering wheel and the seat offer good adjustment, but those sat in the rear will have less space compared to rivals. I’m 6’2″ and I had little legroom in the back, and the same goes for headroom. 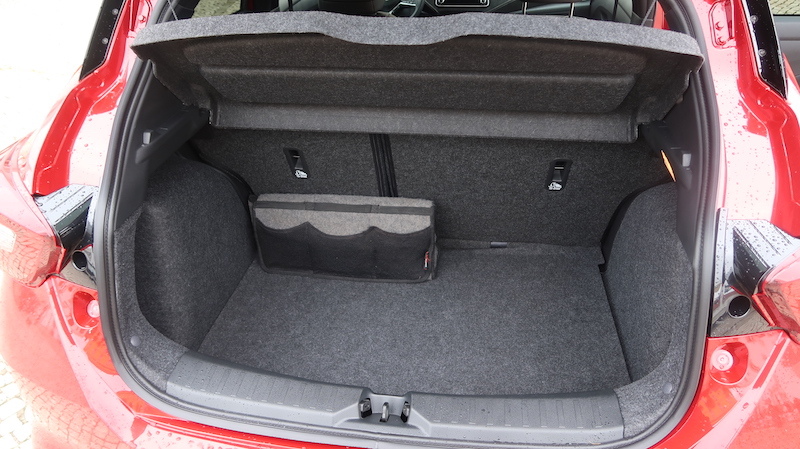 Boot space remains unchanged from the standard Micra of course, so you get 300 litres to play with. 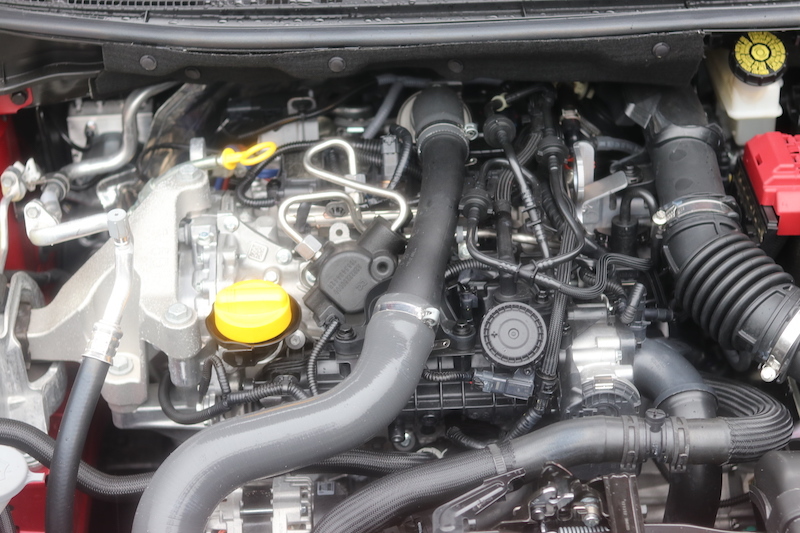 The N Sport follows a mid-level specification, starting from £17,935 if you go for the 100hp version, and £19,005 if you go for the engine tested here. This makes it more expensive compared to the equivalent ST-Line and Ibiza, so it’s not quite as competitive as it could be. 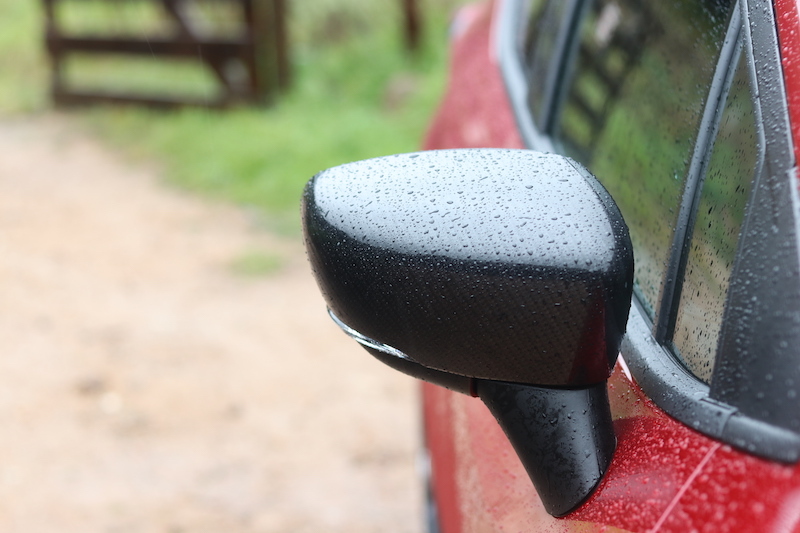 The Micra does come with a lot safety kit, though, earning 5 stars from Euro NCAP, and it comes with privacy glass, reversing camera and keyless entry, which the Fiesta cannot match unless you spend more money. The Micra does offer a smaller touchscreen then the Ibiza FR and ST-Line, but TomTom navigation comes as standard whereas you’d have to pay extra to get navigation on the Fiesta, but you do get it on the FR, and to be honest, the touchscreen offered by the SEAT is nicer to look at, and it’s slicker. Moving away from the rival comparison, the N Sport is able to offer N Sport styling, 17″ alloys, rear privacy glass, part-leather Alcantara seats, keyless entry, reversing camera, rear parking sensors, smartphone connectivity, cruise control, and air conditioning. In regards to running costs, the 117hp engine offers 47.9mpg, which isn’t as high as rivals, but CO2 is 114g/km, which is on par with rivals. 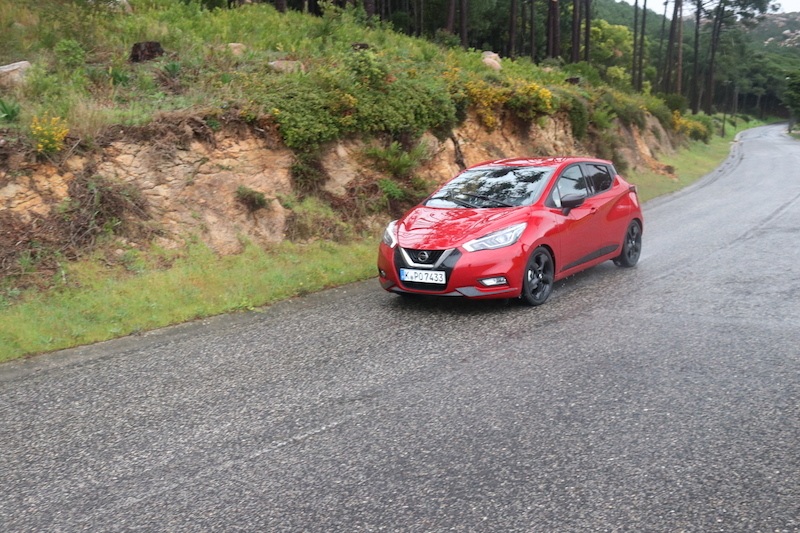 The N Sport has given the sport injection I feel the Micra should have got from the start, and it is a good car to drive. The Alcantara is a really nice touch and I think Nissan has done well there, plus I think the high amount of safety will be attractive to family buyers. However, I think it’s not quite as good as it’s tough competition and the Ibiza offers more space, and it has a better infotainment system. 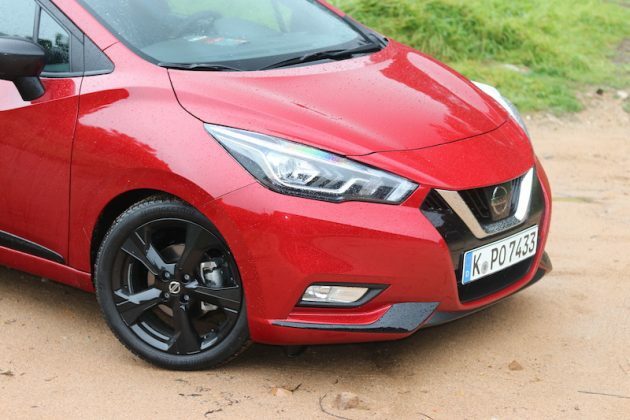 The N Sport is a strong effort Nissan, though, and I imagine this will satisfy buyers looking for a Micra with a bit more poke and aggression. 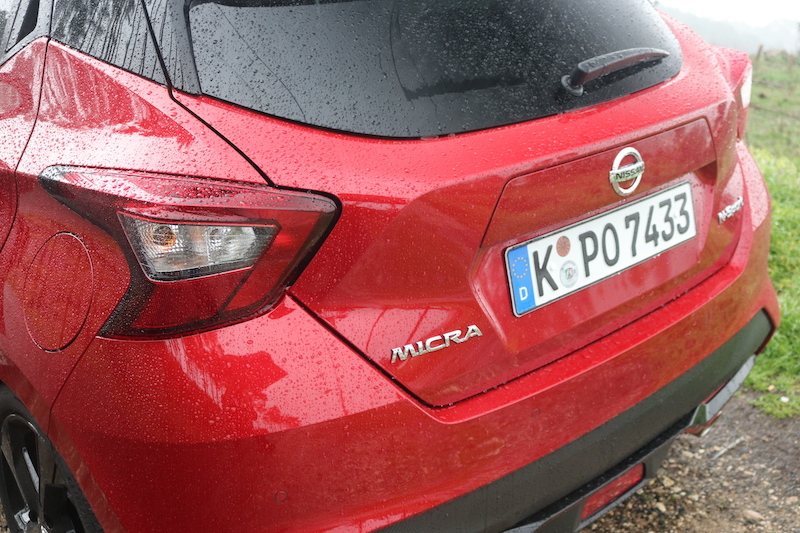 Now then, Nissan, pick up the phone, call NISMO and let’s summon a hot Nissan Micra. Previous articleFrom Route 66 to the French Riviera, what are the best road trips to take?